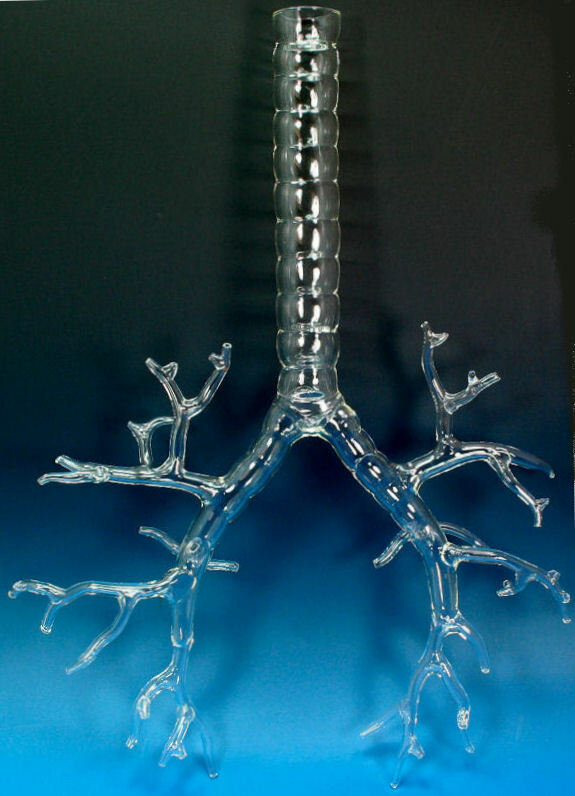 Pictured here is a model of the trachea and major bronchi. More or less resolution and detail can be accommodated. The addition of diseased segments, cut away sections, perforations and many other customizations are all possible.